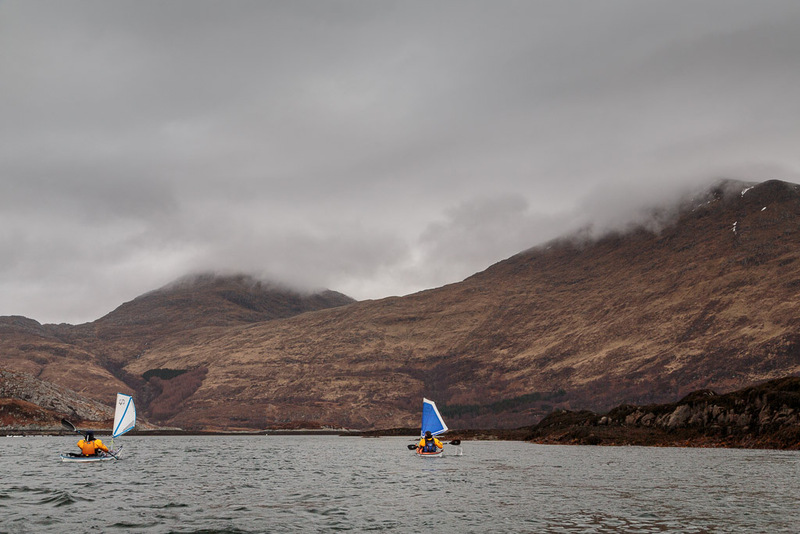 The finishing bell at the end of the round, in Loch Ailort. ...the mountain sides were dappled by an occasional blink of sun. 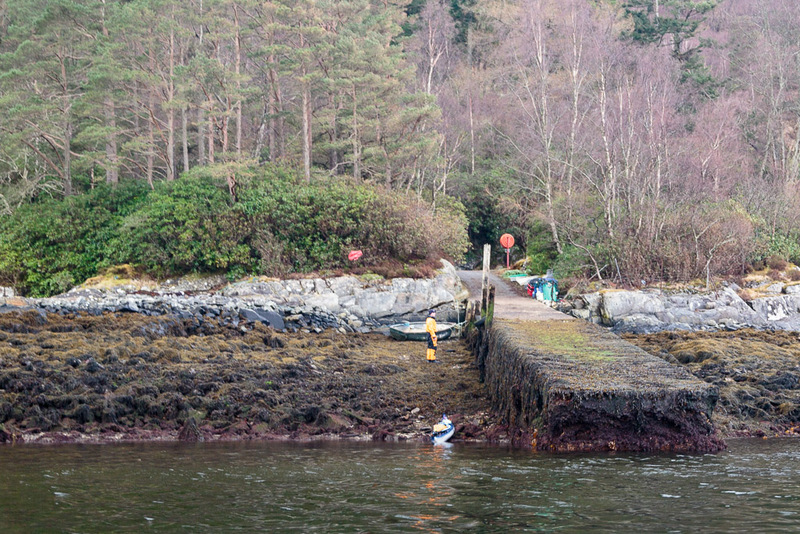 Despite it being well past local low water, the tide was still ebbing strongly through the Eilean Dubh islands. 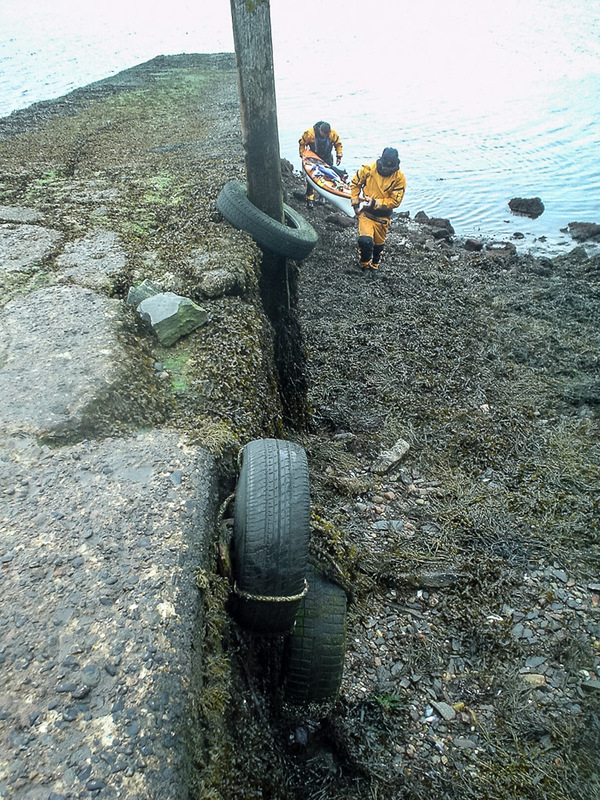 ...had to manhandle the boats up onto the slip. Then it was with some sadness that we unpacked our things after a fantastic winter trip and ran the shuttle. 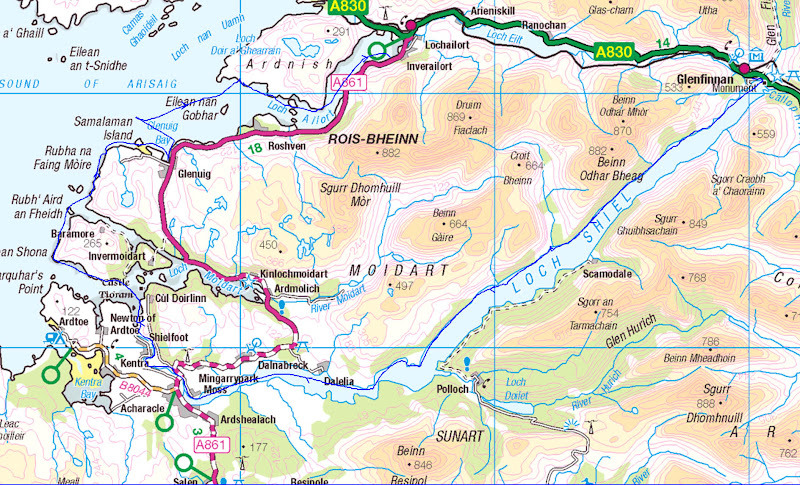 For those contemplating a similar trip it is only a 16km shuttle from Inverailort to Glenfinnan. 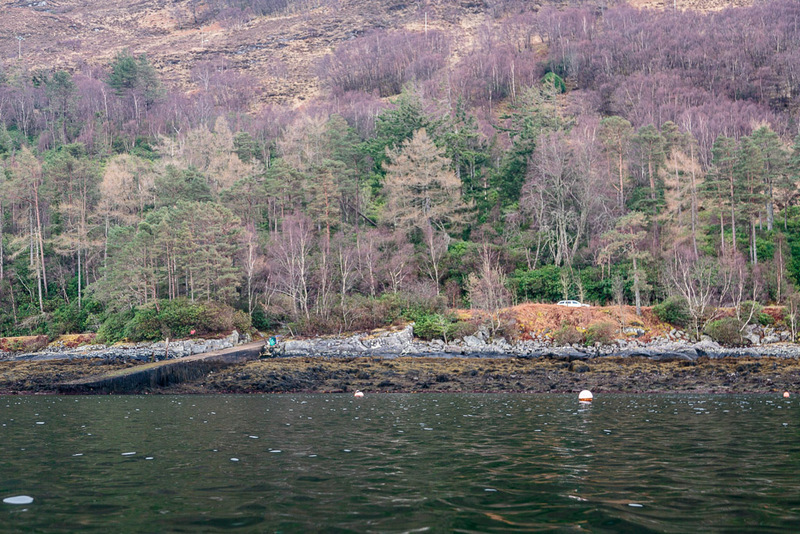 If you only have one car you can even get the train from Lochailort to Glenfinnan! 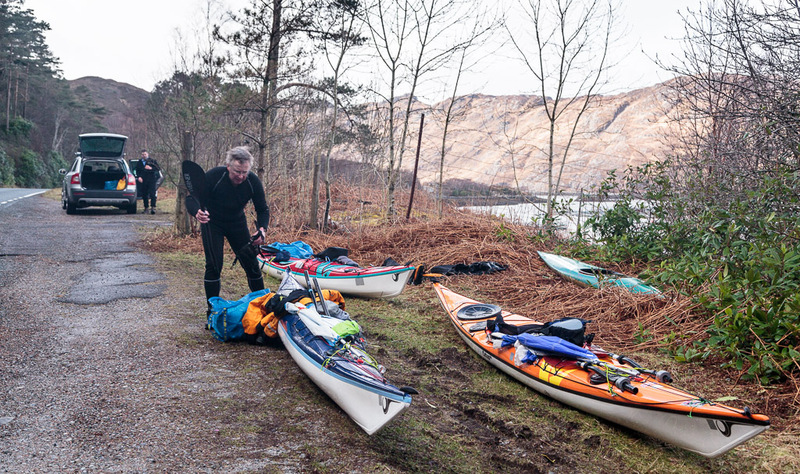 It had taken just 46 hours to paddle the 64 kilometres from Glenfinnan to Inverailort through some of the most dramatic and historic Highland scenery. 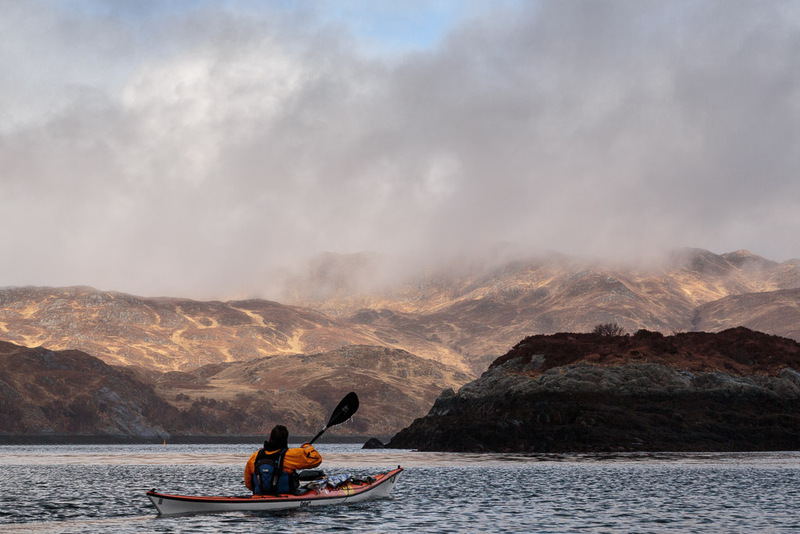 We had paddled on fresh water and salt water and had even dragged our kayaks one kilometre over land. 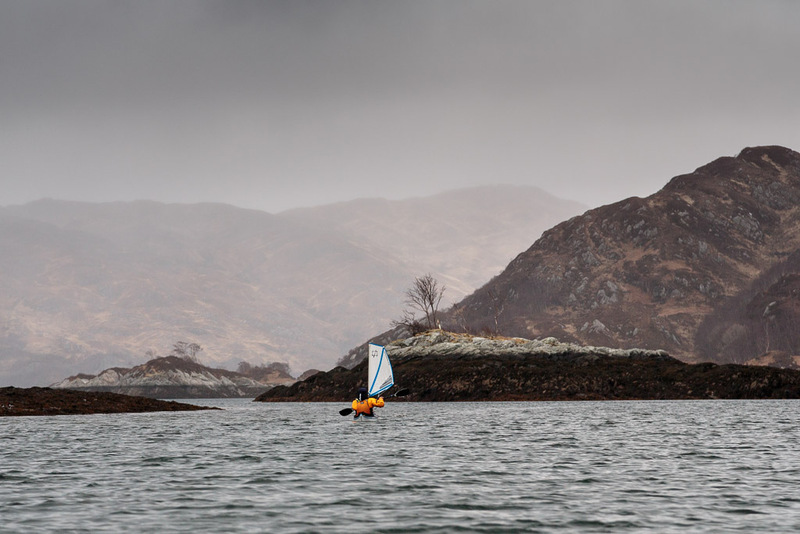 We had camped under the stars and stayed in the excellent Glenuig Inn. We had even rung the thousand year old St Finan's Bell! To cap all that we had enjoyed excellent company. You can read Ian's account of our trip which ends here.